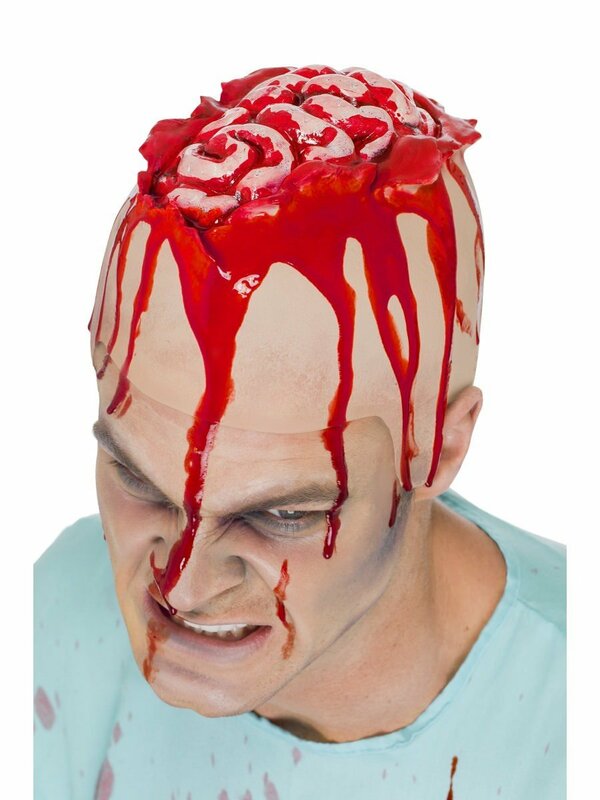 Latex cap, which appears to have an exposed brain, covered in blood. Fits over the top of your head to make it look like your own brain is open and bloody. To get the full effect as in the picture, purchase a tube of fake blood to smear on and drip over the edge. If the cap is a little out of shape when you receive, from packing – just use a hairdryer to reshape it.